Isn’t it all a bit fake, you may be thinking. A bit Disney? Well, OK, the American Queen dates back no further than 1995. Tom Sawyer never threw stones at her. 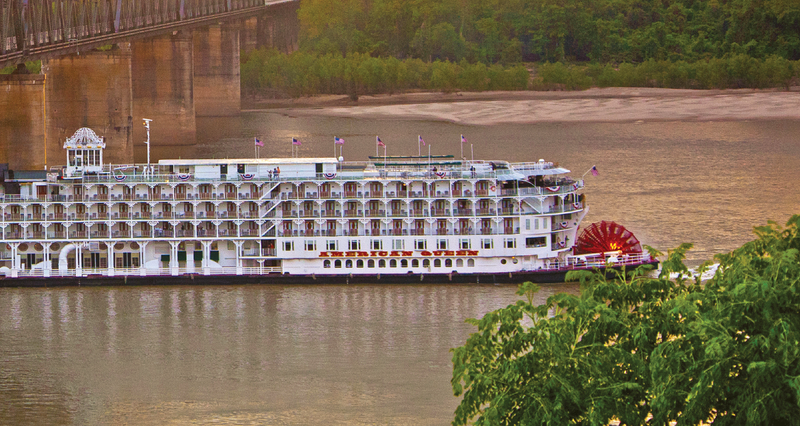 But this handsome vessel, which offers nostalgic voyages along the Mississippi to Memphis and New Orleans, is a real steamboat – make no mistake about that. At her heart, salvaged from a much older vessel, is a genuine, hissing, pounding steam engine. At her stern is a real calliope – like a fairground organ – of the type traditionally used by Mississippi riverboats to announce their arrival and departure. Steam and music (of a sort) gush from its polished brass pipes – something of a racket, but pleasingly authentic all the same. And she looks just right, a floating wedding cake with towering twin funnels and a bright red paddlewheel to push her along. Pride of the American Steamboat Company, and the largest such vessel ever built, the Queen strives for authenticity inside, too. Her cabins (still cabins, you’ll note, not staterooms) are furnished with Edwardian antiques, clearly sourced from auction houses up and down the land. There’s no cruise-ship minimalism here – it’s all brass and crystal, patterned wallpaper and acres of dark, polished wood. Our cruise took some 200 of us along the Mississippi and up the Ohio, Tennessee and Cumberland rivers to Clarksville – an alternative itinerary that explores lesser-known destinations. We began with an overnight stay in St Louis (or “Saint Lewis” as we soon learned to call it). 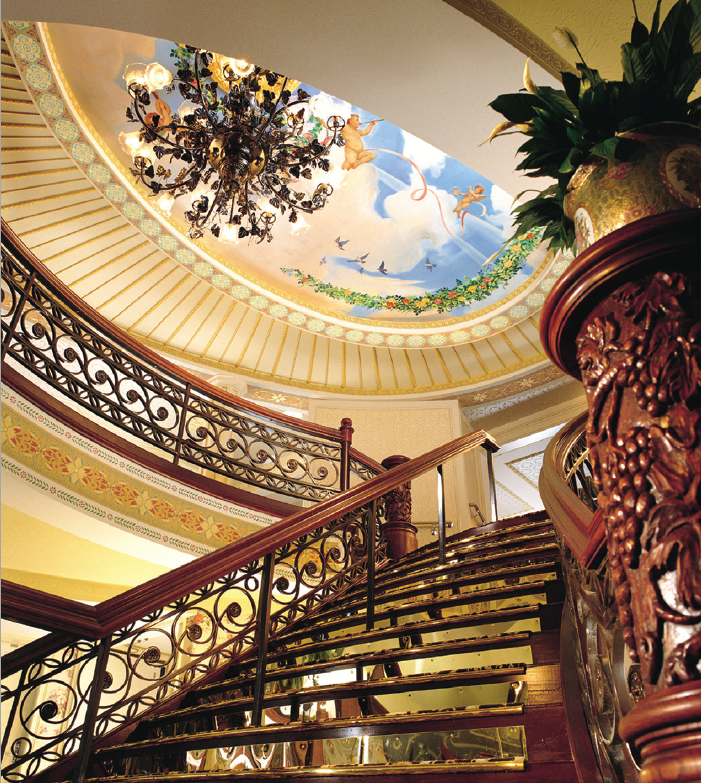 This is a city with some fine historic buildings, including the former Union railroad station, now a hotel. But twenty-first century prosperity has passed it by, and the centre was eerily quiet. If you love to shop, you’ll soon realise that you’ve booked the wrong holiday – but then this cruise is not about the big city. It’s a chance to explore small-town America, that fabled land we’ve all heard of but few of us actually get to see. Embarking at Alton, we travelled upstream to Grafton – a typically sleepy settlement, nestled under huge limestone bluffs – and on to Chester, whose maples, beeches and neat clapboard homes offer a pretty sight in autumn. Chester is the hometown of EC Segar, the creator of Popeye, and finely executed marble statues of Olive Oyl, Wimpy and all the rest make a striking change from unknown generals on horseback. Next came Cape Girardeau – French in name but quintessentially American with its broad Main Street and numerous modern, wealthy- looking churches. Our day here was the only time it rained, and I was sheltering under a shop awning when the proprietor came bustling out. I feared I was about to be moved on, but how wrong I was. She had emerged to offer me – a total stranger – the loan of an umbrella. And that, folks, is small-town America for you. Our next stop was Paducah. At the confluence of the Ohio and Tennessee Rivers, this is a place awash with museums. There is a Civil War museum, a Railroad museum, a Kentucky museum and, if you are really desperate, a Museum of Quilting (quilting, like the Civil War, is pretty big in these parts). That evening we passed into the Cumberland River, and we awoke next day under a blanket of fog. But as the sun broke through, it slowly lifted to reveal a placid river, edged on each side by dense forest that stretched away to the hills beyond. There seemed to be no humans about, just huge herons that fl apped lazily away as we approached. Eddies of mist swirled on the water’s surface, from which little balloons of vapour broke free and circled upwards to evaporate in the warming sun. Views are often described as magical; this one truly was. Soon we called at the little town of Dover, which has a significant claim to fame. The Dover Hotel, a simple two-storey house on the banks of the river, is where Ulysses S Grant accepted the surrender of 13,000 Confederate troops – a turning point in the Civil War. At least Dover’s Fort Donelson, although eventually overrun by Union soldiers, put up a valiant fight. That is more than you can say for Clarksville, our next port up-river, where the inappropriately named Fort Defiance surrendered without a shot being fired. And that is not the only disappointment in Clarksville; those of us old enough to sing along with the Monkees were sorry to hear that the station is closed and the last train left years ago. Each port of call, whether we had heard of it or not, offered something of interest. And visiting them could not have been simpler. The American Steamboat Company has a fleet of four coaches that follow the boat, and at each stop provide a “hop-on-hop-off’’ service – which is exactly what it says. At any marked point shown on a map handed out by the company, guests are free to hop on, go to the next point of interest, and hop off. It is a brilliant concept. But why leave the boat when it’s such a delightful place to be? From the gracious library, with its polished tables and comfortable chairs, lit by Tiffany lamps, to the double-height dining room with its starched white tablecloths and casement windows topped by fanlights, the elegance of a bygone age has been recreated with extraordinary attention to detail. 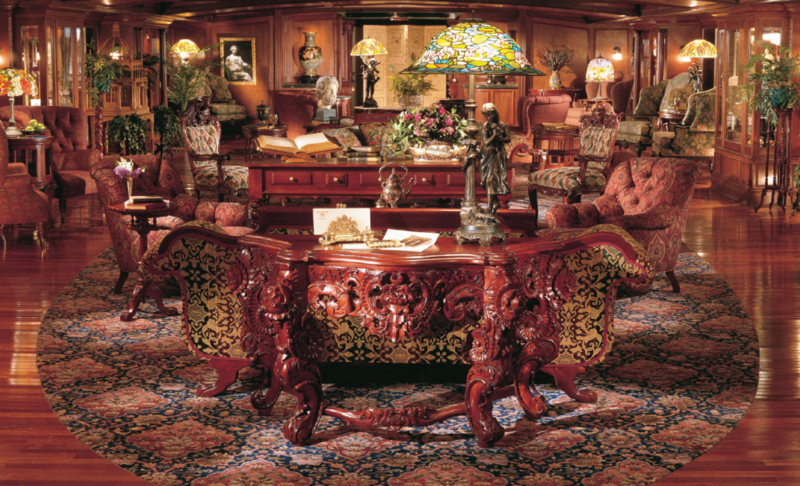 There is even a “ladies’ parlour’’ on one side of the boat and a “gentlemen’s smoking room’’ on the other – though, this being a more enlightened age, we arranged ourselves differently: bridge players in the smoking room; readers and quilt-makers (I kid you not) in the parlour. The boat also features a small but exquisite theatre, complete with proscenium arch and private boxes, modelled on the famous Ford’s Theatre where Abraham Lincoln met his end (best not to sit in the box to the right of the stage). The shows, performed by a small ensemble, were excellent. Sadly, the food didn’t quite attain the same standard. It was more than acceptable, and the breakfast and lunchtime buffets could not be faulted for quantity or quality, but at dinner both the food and the service lacked a certain finesse. The waiting staff were very efficient, but perhaps too much so. Dinner always seemed like a race, which was a shame in a room that suggests leisurely enjoyment. It must also be said that these voyages are not suitable for children, as the clientele is almost entirely mature in years. Neither will they suit the keep-fit brigade. Despite the bikes available for passenger use, the gym is tiny and the pool modest – though at least there is one. The spa stretches, if I can use that term, to no more than massage, and there is no sauna (even though there’s plenty of steam). 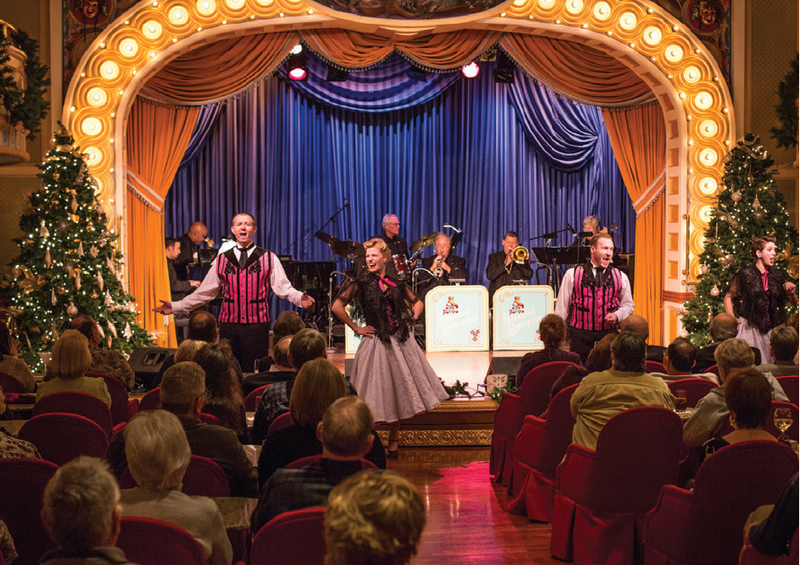 But if you’re looking for a pleasant amble through the heart of the USA, you’ll find much to enjoy aboard the American Queen – and the whole package is delivered impeccably, right down to a coach transfer to Nashville airport for a reluctant flight home. 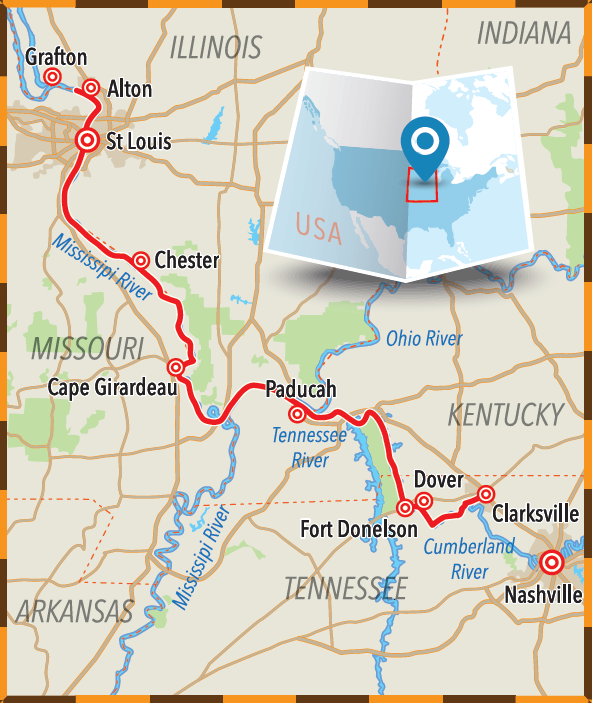 AMERICAN QUEEN LOWER MISSISSIPPI 2017 CRUISE, Memphis to New Orleans via Greenville, Vicksburg, Natchez, St Francisville, Baton Rouge and Nottoway; 10 nights (seven onboard in an inside cabin), including flights from the UK and a two-night pre-cruise hotel stay with breakfast, from £2,519 per person, based on double occupancy and 25 March departure. All packages include all meals and soft drinks onboard, shore excursions in all ports and complimentary wine and beer with dinner.